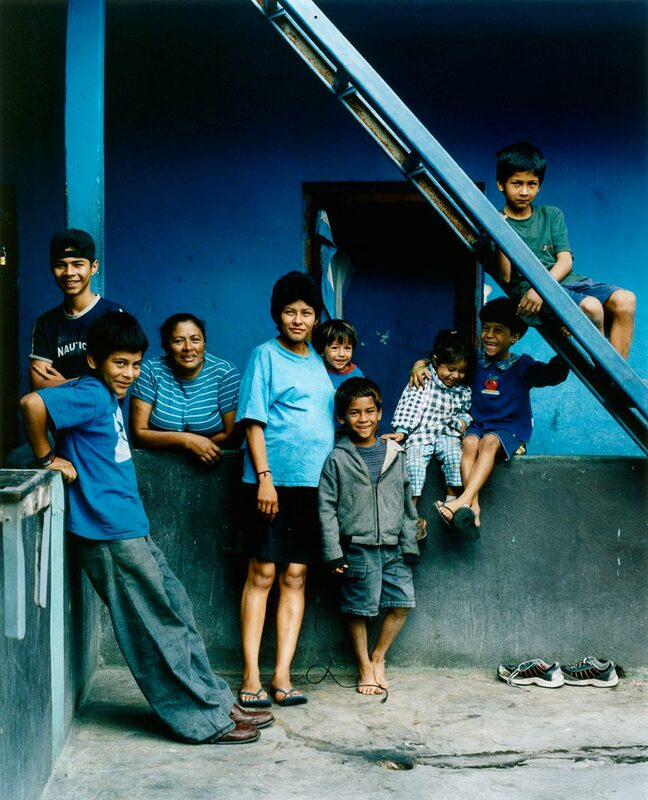 Dora (56), Claudia (35), Jonathan (16), Randy (12), Kevin (9), Eric (8), Claudia (6), Paula (3) and Lubin (2) Dora's family has been poor for as long as she can remember. She shares two rooms in boarding house with her eldest daughter Claudia and her seven grandchildren. Claudia is pregnant with her eighth child. The father nowhere to be seen – either in a rehab programme or just elsewhere, but Claudia isn't interested. She met him on the street when she was 18, when they both lived rough. Three or four months after the birth of each child she leaves. "I don’t know why. I leave the children and hang out with my friends, smoke crack, relax." Claudia's eldest boys, Jonathan and Randy, have spent time on the streets sniffing solvents, but Dora was having none of it "Casa Alianza [an NGO which supports street children] has stopped them sniffing and given them some education. If they go back to solvents they know I'll beat them." Claudia and the children make rent money by selling sweets in the streets near the bus station. The rooms cost Q25 each per day (£2). They eat once a day at a soup kitchen.